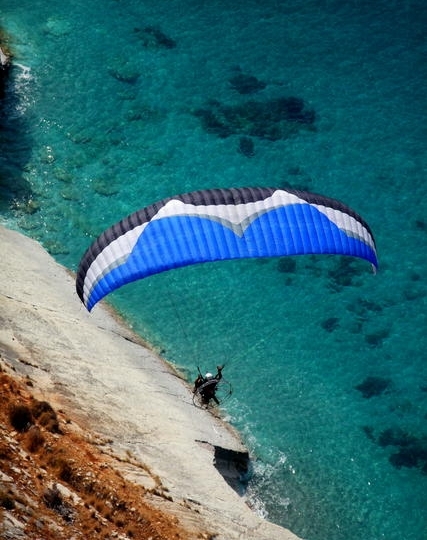 The Roadster was created for a wide range of intermediate paramotor pilots, ranging from XC distance fliers to ground skimmers and adventure pilots. 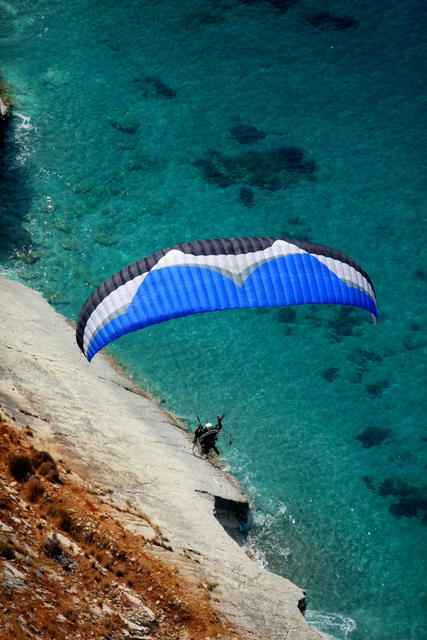 It is a paramotor specific glider, with characteristics similar to the Viper but with an overall much higher ease of use. All sizes of the Roadster are now certified EN Category C!!! The EN C certification is WITH 12cms acceleration, meaning that the Roadster is still certified EN C with full speed bar acceleration. Reflex Speed with EN C / DMSV B Safety and Certification! The Roadster is for a wide range of intermediate and advanced paramotor pilots who want a reassuring amount of stability and a good cruising speed. The Roadster’s OZRP Technology (Ozone Reflex Profile) means that it is more stable in accelerated flight than a normal free-flight wing. Special attention was put into the launching characteristics of the Roadster. The inflation is smooth and constant in any wind speed, and the wing comes up directly overhead without shooting in high winds or lagging behind in no wind, all of which means that your time will be spent enjoying your flight, not struggling with your launch. The Roadster can also be flown without a motor. Its sink rate is low enough to soar in light lift, thermal in all conditions, and fly cross country. Although it is designed for pilots who fly majority (if not exclusively) under power, the Roadster performs excellently unpowered as well. We hope that Intermediate and Advanced pilots will appreciate the easy launches, stable flights, and the high top speeds of this wing, which is designed to allow you to enjoy the flight without worrying about your wing. The Ozone Roadster and Indy are two of the first wings to pass the tests necessary for the DMSV certification. We are pleased to announce that the Roadster M has received DMSV B: (without accelerator) DMSV-MS-5009-08. The Roadster is also certified EN C with accelerator.